The Mastermind brings you an exclusive guide to every single Premier League team going into the highly anticipated 2017-18 season. From lineups, to transfers to the wackiest of predictions, The Mastermind has you covered. Here is your guide to last year’s ninth place finishers, Bournemouth. Bournemouth waltzed their way to a surprising and impressive 9th place finish in last year’s Premier League season and with Eddie Howe and all the same players still on board, this season could be more of the same. In addition to keeping hold of the likes of Joshua King, Steve Cook and Harry Arter; the Cherries have also brought players like Jermain Defoe, Nathan Ake and Asmir Begovic into the fold; meaning this could be one incredible season for the club. The goal for Eddie Howe’s men will certainly be just to survive but with the players they have in their ranks in addition to Howe’s proven tactical intelligence, Bournemouth look set to survive another season in this league with ease. Eddie Howe has made several impressive transfers so far this off-season and all of them should be expected to make an immediate impact on the club’s starting eleven. Nathan Ake is likely to restore a formidable partnership with Steve Cook that was so effective at times last season. Jordan Ibe may also nail down a place in Howe’s lineup for good after struggling to hit top form in his first season at the club. Adam Smith is certainly another likely starter but may find it difficult to knock club captain Simon Francis or rising youngster Ryan Fraser out of the side. Meanwhile Andrew Surman returns to the lineup on a more regular basis now that Jack Wilshere looks prepared to stay at Arsenal while Josh King will form a remarkable partnership up top with the clinical Jermain Defoe. Finally, Artur Boruc’s long and impressive run in goal for the Cherries will come to an end now that the club have signed former Stoke and Chelsea keeper Asmir Begovic. Although Asmir Begovic and Jermain Defoe are incredibly impressive signings, neither should be expected to start every single match. Defoe in particular we must remember is going on 35, while Artur Boruc has helped elevate Howe’s side all the way from the lower leagues to the top flight and has seven years more experience than the Boznian keeper. Adam Smith could play at right midfield or right back depending on the day and will always be an important player for the side while Callum Wilson and Marc Pugh should also be expected to start a significant amount of matches. Finally, Jack Wilshere might still be an Arsenal player today but if he were to move on to pastures new, Bournemouth have already proven to be the perfect fit for the British midfielder. Although workhorses like Harry Arter and Steve Cook will always have a tremendous amount of importance to Eddie Howe’s Bournemouth, without Josh King this could be a completely different side. King was the man who secured the club their highest ever PL finish last season as his form late on led the club to several impressive victories in a row and earned himself a 16 goal tally. The thing about King even more so than Defoe is that he contributes in so many other areas of the game. He doesn’t just score goals but he also creates them and more importantly always helps out in defense, accumulating a high number of tackles last season. He’s also an incredible passer and dribbler of the ball, making him practically a Jack of all trades. With the quality of the players around him he could even afford to be a little inconsistent this season but with the quality that he has with a football, he will likely be Bournemouth’s most consistently crucial player in 2017-18. After making a move from Leeds United in the summer of 2016, perhaps more was expected of Lewis Cook in his first season at AFC Bournemouth. The 20-year old central midfielder only made 6 appearances, assisting 2 goals last season, but more can certainly be expected of the British youngster in 2017-18. After captaining England to their first ever FIFA U-20 World Cup triumph, Cook now has a lot more experience under his belt and could be set to make a splash in the starting xi this season. If Jack Wilshere doesn’t make his return to Bournemouth this season, expect to see a lot more of Lewis Cook in 2017-18. Although the asking price of £20 million was a bit outrageous, securing Nathan Ake‘s signature should prove to be absolutely massive for the Cherries this season. The Dutch defender has so much potential, can operate in a number of different roles and is just a few tweaks away from being the type of defender that has everything in their locker. Ake was immense for the Cherries last season and his return to their defense will certainly be a welcomed one. Jermain Defoe should also prove to be a massive signing for the club after completing his free transfer from Sunderland towards the end of June. Even at the age of 34/35, he’ll likely still be able to bang in the goals on a regular basis as he has done throughout his career. Finally, the acquisition of Asmir Begovic from Chelsea was an incredibly astute one, especially given Artur Boruc’s age which has now reached 37. Begovic was probably Stoke City’s best player before he made his move to Chelsea and after never breaking into the XI it was always natural that he would want to move on. Bournemouth should be the perfect place for Begovic to re-establish himself as one of the world’s best. In other news, Eddie Howe has also secured the signatures of versatile Stoke and West Brom defender Marc Wilson as well as Blackburn’s 20-year old striker Connor Mahoney. Moreover, the club has also managed to do an impressive job at keeping hold of all of their stars. Harry Arter, Josh King and Steve Cook are all undeniably good enough to play at a higher level but the club have done well enough to scare away any potential bids. By managing to keep the same team together from last season to this, Bournemouth will have no trouble at all at starting the season in the right manner and carrying that form throughout. Eddie Howe has always loved attacking football and it’s helped to make his team one of the most exciting in the league. Bournemouth attack with such vibrancy and enthusiasm and seemingly never fail to find the back of the net. The club has always scored goals for fun, even without having the most talented footballers in the league. This season more of the same should be expected with the addition of Jermain Defoe adding one more lethal weapon up front. The wings will always be where Bournemouth do the most damage, even when defenders like Charlie Daniels or Adam Smith are occupying those areas and if the club can just let in a few less, they’ll be practically unbeatable at times. 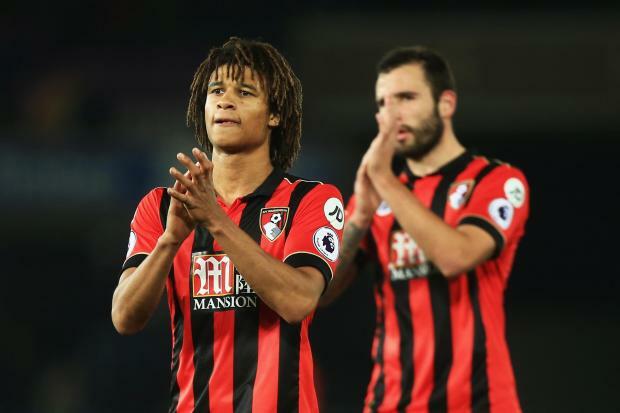 Nathan Ake and Asmir Begovic could both prove to be key in making Bournemouth’s defense more of a brick wall and all of the veterans in their team are only getting more experienced by the day as for some of them, this is now their third season in the top flight. No matter if Bournemouth win or lose, expect a lot of goals to find the back of the net and a lot of exciting attacking play week in and week out. Steve Cook will make more Mastermind Team of the Week appearances than most defenders in the league and will be Bournemouth’s top man in that regard. Jack Wilshere will not make a return to the club. Charlie Daniels will be one of the highest scoring and assisting defenders in the league. Jermain Defoe will be one of the top eight highest scoring players in the league. Asmir Begovic will break a Bournemouth team record for most clean sheets kept in a Premier League season. Bournemouth will not lose to Liverpool this season and will win at least one of their fixtures against the Reds. Bournemouth surpassed expectations and then some by stunningly finishing in 9th place last season. This season however, even with the squad making significant improvements, it is hard to see them reaching quite the same soaring heights. Other clubs just look far too strong going into the season and the Cherries themselves may struggle grinding out victories, having to settle for far too many draws to make a top ten finish. But again, with the tactics of Howe and the fantastic abilities of players like Defoe, King, Begovic, Ake, and Steve Cook, there is virtually no way the club could suffer relegation this season. After being promoted a couple of seasons back, Bournemouth truly look prepared to be in the big time, playing in the Premier League, for years and years.